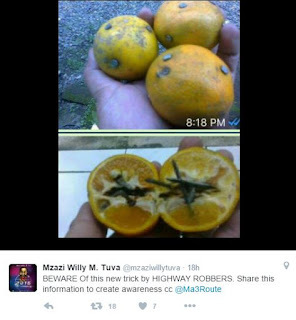 A social Media user has decided to warn Kenyans on the new trick highway robbers are using to attack unsuspecting Kenyans. According to a post which has been making rounds on social media, the robbers are using oranges spiked with nails to deflate tires of the vehicles which run over them. 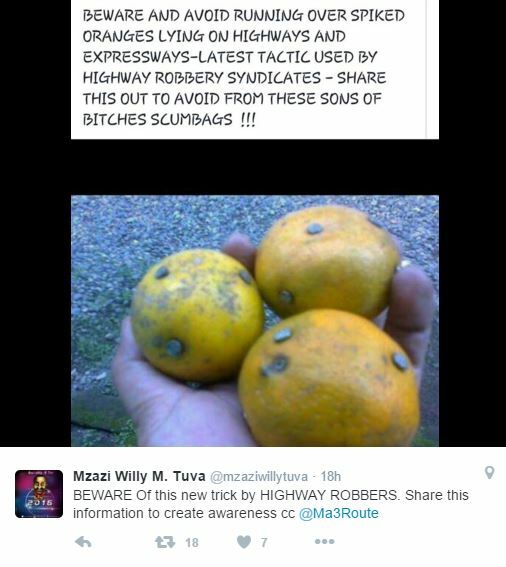 The robbers are placing the oranges on the road and after a vehicle runs over them and burst’s its tires then they wait for the owner of to pull over and hence the driver falls prey of their trap.